ICBP2015 is designed to offer a unique opportunity not only to take a critical examination of the milestone achievements in bio-based polymers but more significantly to discuss how bio-based polymers can contribute to global sustainability in the 21st century. The program features contributions from both established and young scientists and engineers, and will provide a platform for representatives from all over the world. This event aims at bringing together scientists, engineers, business leaders and government officials to foster and enhance collaborative contacts, and to exchange information in the many interdisciplinary areas of modern bio-based polymers. Conference Programme is now available. Click here for more details. Welcome reception will take place at the Suntec City Guild House. Click here for more details. Poster Awards: the organizers are pleased to announce the ICBP2015 best poster awards. Three winners will be announced at the closing ceremony. Wi-fi information: ICBP delegates whose institution subscribes to Eduroam will be able to access the Eduroam network from the conference venue. Alternatively, delegates may approach the registration desk to obtain a temporary free account to access the NUS wi-fi network for the duration of the conference. Submissions for poster presentations may be accepted also after the deadline. Full abstract (one-page) can follow the same style of the short abstract. Its submission is not compulsory. Students and young researchers (before April 14th24th, 2015) 300 SGD Available to all students and post-doctoral fellows within 2 years after obtaining PhD. List of confirmed keynote speakers at ICBP2015. List of confirmed invited speakers at ICBP2015. Two-way bus transport service will be provided in the morning and evening between Swissotel The Stamford and National University of Singapore. All the hotels mentioned above are located in the central business district of Singapore. If you prefer an accommodation within walking distance of the conference venue, then you may consider the Kent Vale serviced residences. Concessionary rates are available at SGD 190, SGD 248 and SGD 320 per night for 1-bedroom, 2-bedroom and 3-bedroom units respectively. Click here for the reservation form and here for more information. 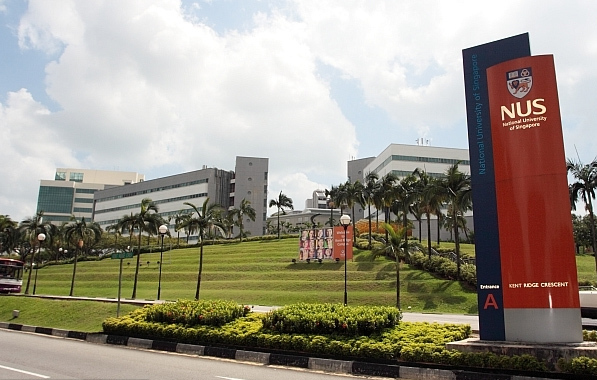 The venue of ICBP2015 is the Faculty of Engineering of the National University of Singapore. There are various option to reach the venue. A bus departing at 7:50am from "Swissotel The Stamford" hotel has been arranged by the organizers to bring delegates to the conference venue. Assembling point is at the hotel lobby on June 25th, 26th and 27th. 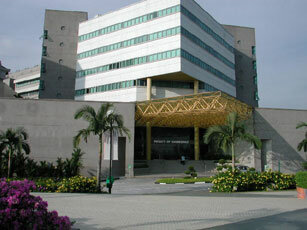 A similar service from the conference venue back to "Swissotel The Stamford" hotel has also been arranged. Please see the conference programme for more details. "Swissotel The Stamford" hotel is centrally located. Please see the hotel website for more details. Transfer to bus No. 96 at the Clement Bus Interchange to NUS Faculty of Engineering (B20 Clementi Road), which is only 4 bus stops away (please note that all bus stops in Singapore are upon request, so the bus may not stop at all bus stops). Waiting time for bus No. 96 should not exceed 15 minutes during working hours. 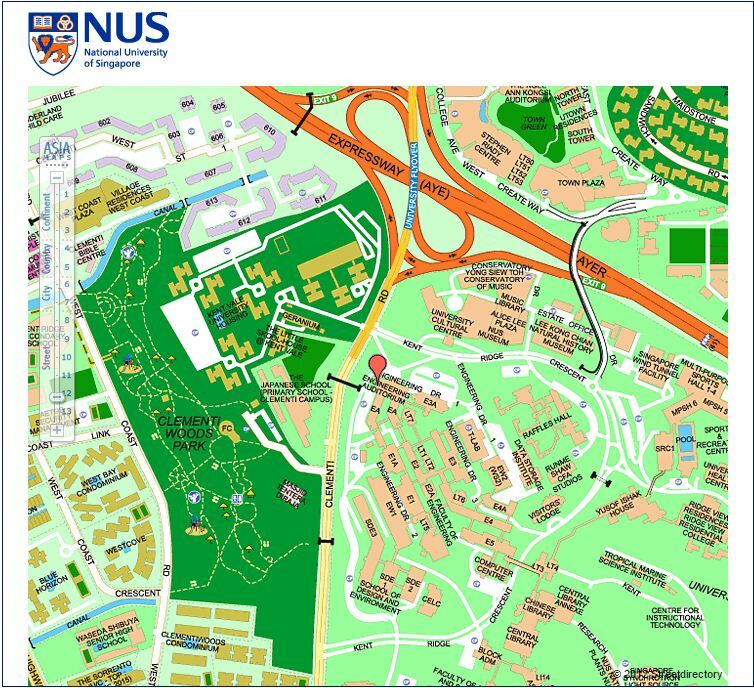 When you see NUS Engineering building (picture below on the left is a view from the street) press the bell to inform bus driver that you’re alighting. Once off the bus, climb the staircase in front of you, cross a small service road and enter the building right in front of you. You will find the ICBP venue on your left. 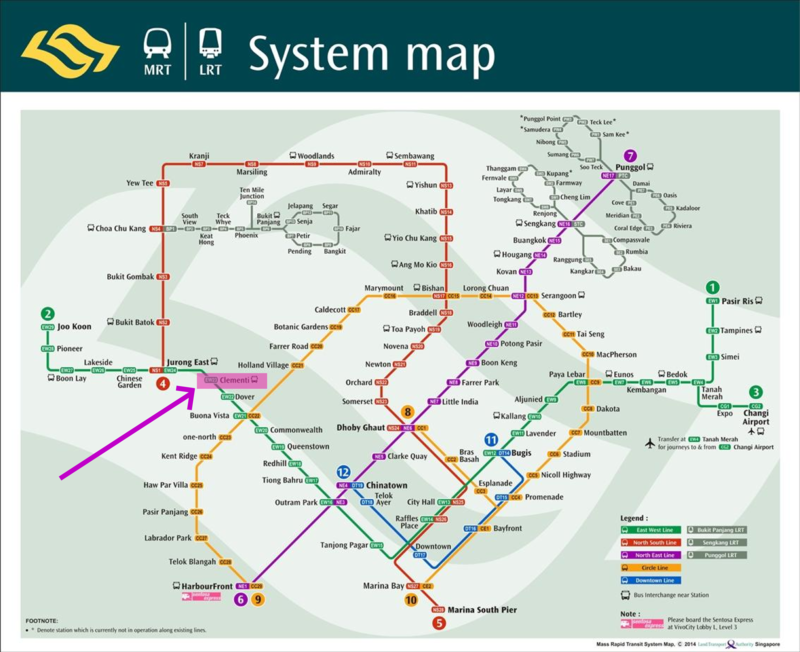 For more information on the MRT train services and tickets, please visit the SMRT website. For more information on bus services and tickets, please visit the the SBS tranist website.